MIAMI | How do Church leaders view Catholic contemporary music? With caution. On the one hand, this is what they’ve been asking for: a musically skilled laity taking an active part in worship. On the other hand, the shifting tastes of pop culture make it hard for them to grant the songs a lasting place. 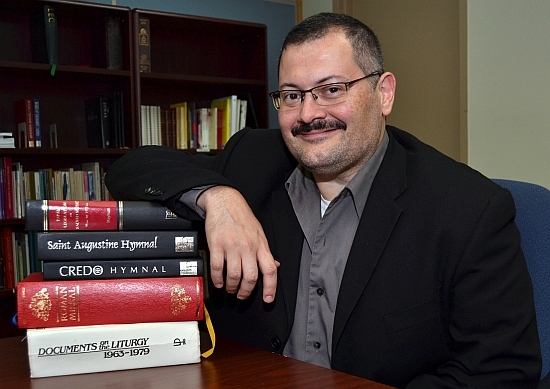 Gustavo Zayas, music director for the archdiocese, literally leans on historical guides in assessing music. As with many things Catholic, the matter goes way back. Before the 16th century Council of Trent, most liturgical music was a specialty: chants sung in unison by clerical choirs. That council, however, helped to foster a religious revival and with it, an explosion of religious music: polyphonic harmony with choirs and organ, and eventually with other instruments. Church architects even began building choir and organ lofts into the very structure of houses of worship. Composers, too, produced more and more elaborate work, leading to the Baroque period, 1600-1760. Brilliant composers, including Mozart, Handel, Vivaldi and Monteverdi, interwove choirs, orchestras and texts of the Mass to create monumental pieces that are still performed today. It was the “performance” part that became the problem, said Msgr. Terence Hogan, dean of theology at St. Thomas University in Miami Gardens. Msgr. 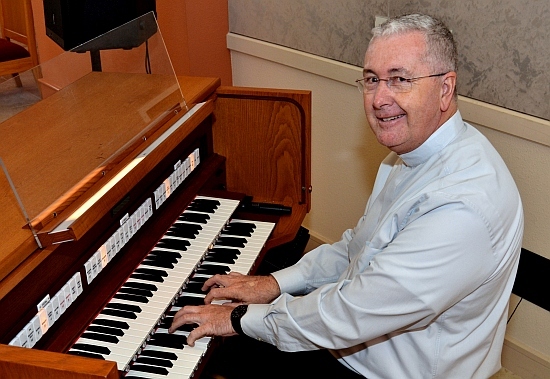 Terence Hogan, dean of theology at St. Thomas University, has taught music and even plays organ. Change began in the 19th century, partly because of the cost, Msgr. Hogan said. Conflicts like the French Revolution and the Austro-Hungarian wars tightened the wallets of rich families that had bankrolled the elaborate church performances. Also furthering change was Pope Pius X, who prodded laypeople to learn some of the chants of the Latin Mass so that they could participate more at church. He also encouraged congregational hymn singing at various parts of the Mass. 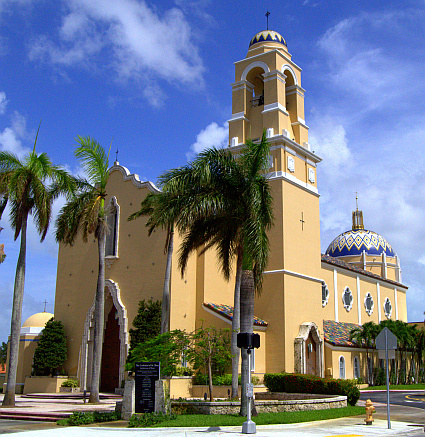 Gustavo Zayas has occasionally allowed Catholic contemporary music at St. Mary Cathedral, where he directs music. Nationally, organizations have arisen — including the National Pastoral Musicians and the Religious Education Congress of the Los Angeles Archdiocese — to guide and coordinate more modern Catholic sounds. Part of their challenge is to blend accessible music styles with age-old worship themes and teachings. But there's a risk of diluting worship with “saccharine and sentimental” music, Msgr. Hogan said. Apparently, though, there's room for flexibility even within church walls. Despite his stress on transcendence, Zayas once took part in a Mass at St. Mary Cathedral — where he personally directs music — with a Nicaraguan choir, a group that used electric bass, guitar, marimba and synthesizer.